Elza in her typical daytime state. We have a new member of the household to announce. 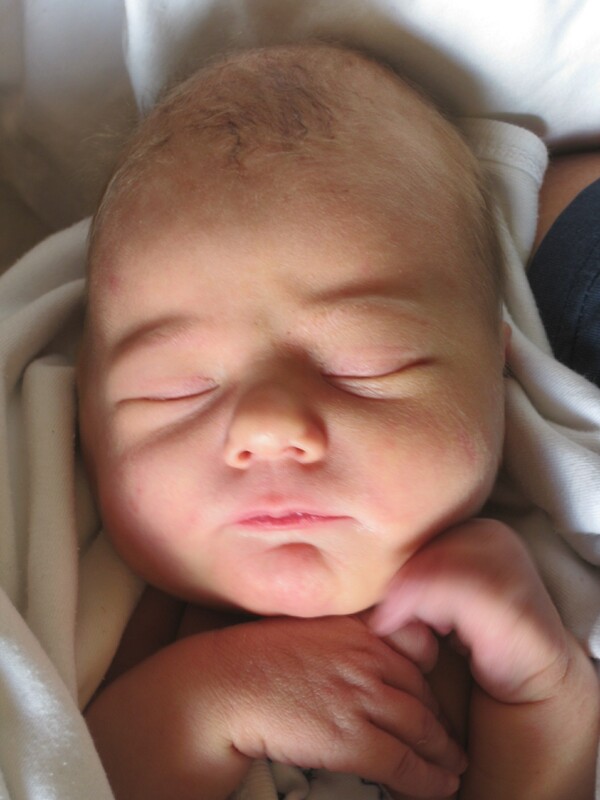 Meet Elza Salish deVries Kehoe. 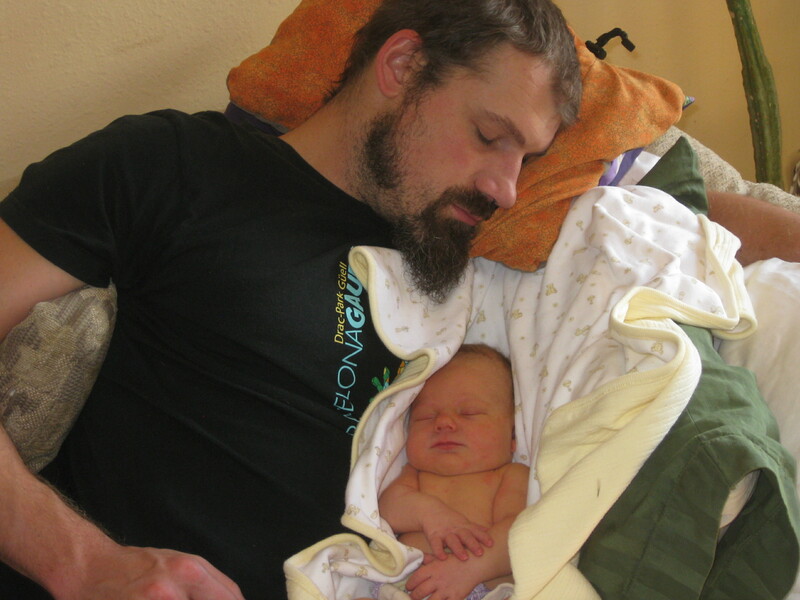 Elza was born on June 10, 2013 at 1:40 pm. 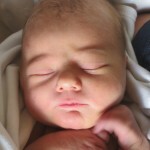 She weighed in at 7 pounds, 14 ounces, and measured 19.5 inches long, and registers in the 99th percentile cute factor. Elza’s birth was a bit of an ordeal; Amie began labor around 3:15 am Sunday morning, and Elza finally popped out Monday afternoon. We had intended to have the birth at home, in the barn, and that is where we began. Unfortunately the birth was not progressing fast enough, so we had to transfer to the Group Health hospital at Capitol Hill. Although we were disappointed not to have Elza at home, we received a great level of care at Group Health. 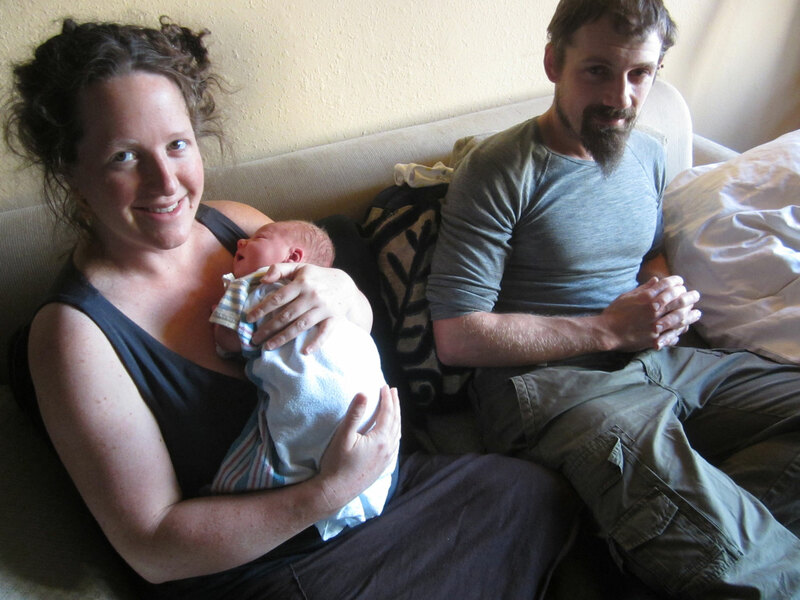 We were able to return home that same evening and begin enjoying our new household addition and start adjusting to life with our new bundle. Now if only she would sleep at night rather than the daytime, she would be perfect.